Under current law, the Social Security Retirement Trust Fund is projected to run out by 2034, requiring benefits to be cut by more than 20 percent. The Social Security Trust Fund’s shortfall is driven partly by the formula that determines benefits for each retiree. Under the current “wage indexing” formula, benefits are projected to climb by more than 150 percent in real terms (over and above inflation) over the next 75 years. An average-income one-worker couple could get benefits that would be nearly 50% higher than the current average family income, before any saving or pension income the family might also enjoy. Some upper-income two-earner married couples could become entitled to benefits of $155,000 a year in today’s dollars. To maintain this kind of benefit growth under current law and balance the Social Security Retirement and Disability Trust Fund, payroll taxes would have to increase by 38 percent from the current 12.4 percent to 17 percent. An alternative to raising payroll taxes to balance the Trust Fund is to trim the growth of future benefits by simply switching from wage indexing of benefits to price indexing. 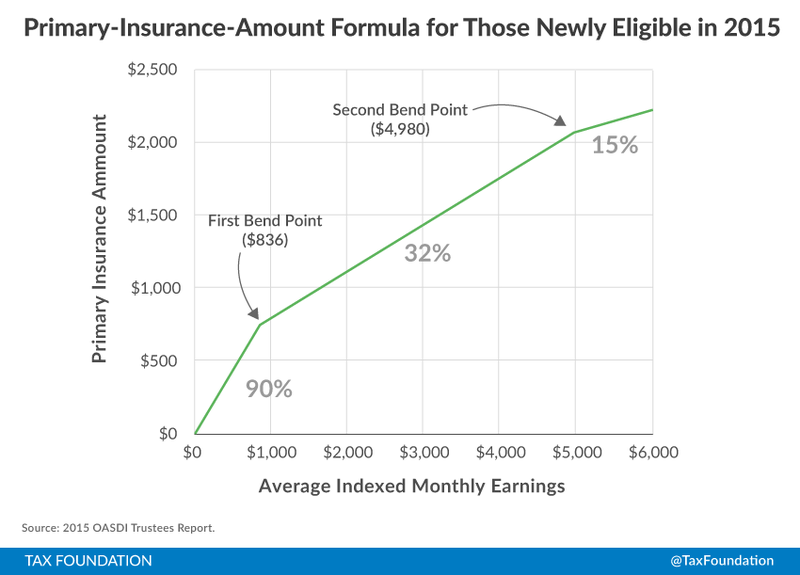 Under the alternate price indexing formula, benefits would increase more slowly. Over the next 75 years, benefits would increase by between 60 and 80 percent in real value. Although switching to price indexing would solve Social Security’s long-term funding gap, there are other issues that still need to be addressed such as the short-term funding gap in the retirement program, short- and long-term imbalances in disability insurance, and whether Social Security should be reformed comprehensively. August 14, 2015 marked the 80th anniversary of the signing of the Social Security Act by President Franklin Roosevelt in 1935. The program has done much to alleviate poverty among the elderly. Unfortunately, the system itself is showing its age. The Old Age and Survivors Insurance program (OASI, retirement benefits) is now running cash deficits as the baby boomers are retiring. The Disability Insurance program (DI) has been running deficits for several years, and is about to exhaust its trust fund. The recently released Trustees Report shows that only 93% of current OASI costs are covered by tax revenue, and that when the OASI trust fund runs out in 2034, benefits would have to be cut by more than 20% from projected levels. Longer term, OASI would require more than a four percentage point rise in the payroll tax to close the funding gap over the next 75 years, or benefits would have to be reduced below promised levels by 27% by 2090. The system’s ills have been driven in part by demographics, as the number of workers per retiree has been falling for decades due to reduced birth rates and rising longevity. When the system was young, there were many workers paying into the system for each person drawing benefits. For example, there were 16.5 workers per OASDI beneficiary (retired and disabled workers combined) in 1950, as if each suburban block was supporting one retiree. Today, there are only 2.8 workers per OASDI beneficiary. By 2060, the ratio will be only 2 to 1, as if every two worker couple will be supporting a retiree. The demographic challenge would be manageable except for the system’s formula for paying benefits. The benefit formula, which sets the benefit a worker gets upon retirement, keeps benefits growing without limit over time in line with average wages (wage indexing). Over time, wages generally rise faster than prices. Therefore, the wage indexing in the current benefit formula means that benefits will rise in real terms too, to ever-higher levels. For example, an average-wage single worker retiring today might get $19,115 in annual benefits, but an average-wage worker retiring in 2090 might get $47,792, in real dollars (with today’s purchasing power, after accounting for inflation). In 2090, an upper income two-earner couple, with combined earnings of more than $578,000 in terms of today’s money, might get real benefits equal to $155,444 a year, 150 percent more than a similarly situated couple in 2015. As workers earn more over the decades, but there are relatively fewer of them, it will be impossible for the system to make ends meet without a tax increase hitting workers at all income levels. The benefit formula has put benefits on autopilot, with a course set for a collision with the demographic mountain range ahead. A simple, gradual, and minimalist solution to the retirement system’s future imbalances would be to slow the growth of benefits by adjusting the payments formula for inflation (price indexing), rather than wages. With price indexing, benefits would slowly lag behind the benefit increases promised in current law. Benefits would continue to grow in real terms, but more slowly. This would eventually bring benefits into line with projected tax revenue. Although price indexing would eventually close the OASI and DI funding gaps, it would not address broader issues. For example, should a social safety net program cover the rich as well as the poor? Should it grow without limit as future generations get richer? Would it make more sense going forward to rely more on pensions and retirement saving vehicles, which yield a much higher return to savers on their contributions than does Social Security? Would the economy not do better with more real saving, set aside to expand capital formation, productivity, and wages, rather than expanding a tax/transfer system, like Social Security, which promotes immediate consumption of the revenues raised and distributed? This paper looks only at the price-indexing versus wage-indexing issue. The other questions are also worthy of serious debate. Table 1, excerpted from a table in the Social Security 2015 OASDI Trustees Report, shows the projected growth in real retirement benefits under current law. These numbers are all in 2015 dollars. Wage indexing of the benefit formula, coupled with the projected increase in average real wages by 2090, will increase real benefits by about 150 percent, to 2.5 times current levels. The benefits would be 50 percent more than those shown in the table for married couples getting a spousal benefit, and twice the benefit shown for a two-worker married couple each earning the illustrated levels. In 2090, a single average-income earner would receive the equivalent of $47,927 in annual benefits in 2015 dollars, compared to $19,115 for an average-earnings worker retiring in 2015. A medium-income couple with the 50 percent spousal benefit would receive $71,890.50 (= $47,927×1.5) upon retirement in 2090, compared to $28,673 for a medium-income couple retiring in 2015. A two-worker medium-income couple retiring in 2090 would receive $95,584 ($47,927 each), compared to $38,230 for a similar couple retiring in 2015. Upper-income couples with two workers earning the maximum covered salaries could be getting annual benefits equal to $155,444 ($77,722 each) in 2015 dollars, compared to $61,668 for a maximum-earning couple retiring in 2015. Surely, some trimming of benefit growth could be done without injuring future cohorts. *From Table V.C.7, Intermediate Assumptions, 2015 OASI/DI Trustees Report, p. 148. According to the 2015 Trustees Report, in the absence of reform, funding these expanding benefits will require a significant increase in the payroll tax (or equivalent revenues from other sources). The payroll tax would need to rise by 4.28 percent of payroll for OASI by 2090 (from 10.6 percent to 14.88 percent for OASI alone), and by 4.69 percentage points to cover DI as well. That is, today’s OASDI payroll tax rate of 12.4 percent for the combined retirement and disability programs would need to climb to 17.09 percent. This would be a tax hike of 37.8 percent. An alternative to raising the payroll tax or finding other sources of federal funding for the system is to trim the expansion of future benefits. As Table 1 indicates, there is substantial room to trim benefit growth while still allowing for a large rise in future retirees’ incomes. If phased in gradually, slowing the growth in promised benefits is the best outcome for people who must work and retire over the next three generations. One convenient, gradual method is to switch to price indexing for the adjustable elements of the Social Security benefit formula and the earnings records of future retirees. Under wage indexing, the formula for calculating initial retirement amounts is adjusted each year in line with the increase in average wages. (See Appendix for details.) Under price indexing, it would be adjusted according to the rise in the consumer price index. A worker’s earnings history, currently adjusted for wage growth from the date earned to age 60, would continue to be indexed for wage growth up to the date of conversion to the new method, and would be adjusted for prices thereafter. In the tables, I assume an effective switch in 2023. Normally, wages rise faster than prices, at least over extended periods. Under price indexing of earnings and the benefit formula, real benefits would still grow as real wages increased, but a bit more slowly than wages, as shown in Table 2 below. Comparing the 2090 benefits with the 2015 benefits, we find that real benefits in 2090 would be between 58 percent and 78 percent higher (66 percent higher, on average) than benefits of corresponding 2015 workers, instead of 150 percent higher as under wage indexing (as in Table 1). The savings would be about 34 percent of currently promised benefits, a bit more than the 27 percent reduction needed to bring the system into long-run balance. Under price indexing, in 2090, a single average-income earner would receive the equivalent of $34,057 in annual benefits in 2015 dollars, a medium-income couple with the 50% spousal benefit would receive $51,086 (= $34,057×1.5), and a two-worker medium-income couple would receive $68,114 ($34,057 each). Upper-income couples with two workers could be getting annual benefits equal to $98,962 ($49,346 each) in 2015 dollars. Even the low-income workers in the table (earning about 45% of average wages) would be getting real benefits in 2090 almost as high as those received by medium-wage workers in 2015. The Disability Insurance program would need similar adjustments to its benefit formula to keep its benefits in line with those of the retirement system in the long term. In addition, the DI program is already running cash deficits, and is about to exhaust its trust fund. For individuals, it is better to trim benefit growth than to raise taxes, because less of a bad deal is better than more of a bad deal. For the country, it is better to trim benefit growth than to raise taxes, because an overly large Social Security System depresses saving, capital formation, and wages. As a pension, Social Security is a bad deal. Social Security offers individuals a poor return on the “contributions” it exacts via the payroll tax. The benefits represent a very low “yield” on the tax payments, about 1.5 to 2.0 percent over the long term. Over long periods of time, personal saving in pensions, IRAs, and other retirement savings plans invested in a diversified stock and bond portfolio can be expected to yield 7 percent or more, after inflation and before taxes, which is three or four times the rate of return as the tax transfer system. Once a basic safety net level of income is provided (the insurance element of Social Security), paying for additional benefits that substitute for personal saving and pensions costs participants a lot of lost income. Future workers would be better off with current tax rates and less growth in future benefits than with higher tax rates needed to pay for currently promised increases in benefits. Social Security retards the country’s growth by discouraging saving, capital formation, and employment. The benefits promised by the OASI and DI programs have diminished the need for people to save for retirement and disability protection, and the taxes levied to pay for them have diminished the ability of people to save. As a result, the country saves less, maintains less capital, and suffers from lower productivity and wages, and less employment, than otherwise. Private saving, unlike Social Security, helps to expand the economy. Private saving, invested in stock and private sector bonds, finances capital formation, which boosts productivity and wages, and adds to national output and income. The additional capital income generated by the added investment accrues to the savers, giving them income in retirement. By contrast, the payroll and income taxes collected to fund Social Security are not saved. They are taken from the current income of workers, are either transferred as benefits to retirees, presumably to be spent on consumption, or they are borrowed by the federal government and spent mostly on government consumption (and some defense and civilian infrastructure). Taking money from younger people, who might be expected to be in their years of high saving, and transferring it to retirees, who might be expected to use more of the money for consumption, reduces national saving, investment, income, and jobs. The payroll tax also reduces employment by making workers more expensive to hire and making labor less rewarding on an after-tax basis. The benefits also diminish the need to work in later years, and the earnings test that limits benefits for those who continue to work does further damage to work incentives. For all these reasons, Social Security has the unfortunate side effect of reducing output and income. The shift to price indexing would eventually eliminate the OASI long-run deficit, but the cost savings would take time to build. Taxes would not catch up with benefits until about 2055. The interim gap would largely be covered by using general revenues to redeem the trust funds, which would be drawn down more slowly than under current law, but additional funding for OASI might be required for a few years. If so, the best solution might be to bite the bullet and use general revenues to cover the interim gap. Delay the normal retirement age for full benefits an additional year, to age 68. The normal age, could be lifted two months a year for six years from 2024 through 2030, following on the currently scheduled rise to age 67. This would have the effect of trimming early retirement benefits at age 62 by five percent, and there would be a year’s less availability of the delayed retirement credit. This would save money in the medium and long term. Raise the age of eligibility for early retirement from 62 to 63, 64, or 65 in stages, as required. Raising the retirement age could be justified by noting that workers are living much longer in retirement, on average, than decades ago. It would reduce the years over which they could collect benefits. However, it would mean that workers who acquire disabilities and receive DI benefits prior to reaching retirement age would remain longer under that system before switching to retirement benefits. That program would have to be altered to achieve the full saving anticipated by raising the retirement age. It would also raise the number of people who, due to early death, receive little or no benefit from their contributions. Since mortality rates decline with higher incomes, this approach would disproportionately injure lower income households. Eliminate the cap on the amount of wages subject to the payroll tax. This tax increase would normally result in additional Social Security benefits paid to the highest-earning workers later in life at a 15 percent replacement rate, reducing the savings substantially, unless a new limit were added to the formula setting a wage level above which no benefits would be paid, or paid at a lower rate. The current formula, which allows additional benefits if additional earnings are taxed, eliminates some of the work disincentives that the payroll tax would otherwise create. Eliminating the benefit increase for wages above the former cap would have the effect of making the contributions more like a true tax, discouraging work by the affected individuals, and somewhat reducing GDP and employment. Another factor that could improve the long-run outlook for the OASDI system would be to increase immigration. The intermediate (case II) actuarial projection in the 2015 Trustees Report assumes 1,155,000 immigrants (legal and illegal combined), on average, over the next 75 years. If the number of immigrants were to increase to 2,085,000 (as assumed in the actuaries’ more optimistic case I projection), it would drive down the long run funding gap from 4.65% of payroll to 4.28%. Roughly speaking, every increase of one million in the average immigration rate knocks out about a quarter of the long run OASDI deficit. The income to the Social Security System increases as immigrants work and pay taxes, and open businesses and increase employment. It increases further as their children prosper, as have the children of earlier waves of immigrants. Immigration would also boost economic growth by raising the work force and increasing investment in housing, plants, and equipment. Immigration mitigates the damage from the low fertility rates of the general population, and slows the decline in the ratio of workers to retirees. Immigration may be a hot button issue today, and some immigrants may impose added education and welfare costs on state and local budgets. But immigration is a plus for the long-run solvency of the federal retirement and disability programs, especially if the immigrants are legal and have the right to work in the above-ground economy. The changes described above would retain and shore up the current benefit system, closing the long-run funding gap without a significant tax increase. A bolder approach would be to limit the system to that of a true safety net, providing a very basic amount of income to prevent poverty in the event of disability or illness, or other misfortunes. Retirement saving for income above the basic amount would be provided by enhanced personal saving arrangements, assisted by a lower payroll tax in return for foregoing the large benefit increases promised under the current system. Such a shift would allow savers to own their own accounts, and take advantage of the higher rates of return to real saving compared to the relatively low rate of return available from a tax transfer system. It would also increase national saving, capital formation, wages, and employment. Such reforms are beyond the scope of this paper. Prior to 1972, retirement benefits were defined in dollar terms. As wages and incomes rose over time, benefits would not keep up with earnings. Benefits would replace a smaller amount of earnings upon retirement. In system jargon, the “replacement rate” (benefits as a percent of pre-retirement income) would fall. In those days, Congress granted periodic benefit increases to Social Security retirees to offset the effects of inflation. However, in a game of political one-upmanship, Congress went overboard with three benefit hikes totaling 45 percent between 1970 and 1972, far in excess of inflation. To prevent itself from committing further excesses, Congress passed the 1972 Social Security Act Amendments. These include automatic cost of living adjustments tied to inflation for retirees once they began receiving benefits. They also included a new mechanism to determine the initial benefit one would get upon first retiring, involving variable “replacement factors” applied to one’s earnings history. The methodology Congress adopted in 1972 on the recommendation of the Social Security Administration (SSA) was badly flawed, and under certain economic conditions would exaggerate the replacement factors and overcompensate for inflation. As a result of the flawed formula and the “stagflation” in the 1970s, replacement rates began to rise rapidly, threatening to drive up the payroll tax rate required to pay for benefits in the future. To correct the problem with appropriate political cover, Congress convened a panel headed by Harvard Professor William C. Hsiao to address the error in the methodology. The panel issued its report in 1976. Two options were considered, each involving a new benefit formula with adjustable brackets (called “bend points”) that would have fixed replacement factors. (See Appendix for illustration.) One option would adjust the bend points each year by the growth in wages (wage indexing). The other would adjust the bend points by the increase in prices (price indexing). Unions, SSA, and the (then) Department of Health, Education, and Welfare (HEW) recommended wage indexing of workers’ earnings histories and of the bend points. Wage indexing would cause real benefits and replacement rates to rise over time for future workers at any given level of real earnings. The system would grow over time in line with the economy, and always maintain its relative importance, even as income rose and people could have relied more on private pensions and saving. This was the New Deal “social contract” at work, with government playing a large and permanent role in the provision of retirement income. The Hsiao panel recommended price indexing for the bend points and earnings in order to keep real benefits steady in real terms over time at any given real wage, resulting in a slower rise in total outlays and enabling the system to stay solvent over time at a more reasonable tax rate. The resulting benefits per worker would still have risen in real terms as future cohorts earned higher real wages; they would just have risen more slowly than with wage indexing. Over time, as people had less need for the federal safety net, they would have relied more heavily on private saving and pensions. The economy would have grown out from under the program, and payroll tax rates could have risen less over time in spite of the adverse demographic shifts. There was little visible difference between the two approaches in the short run, but over several decades, wage indexing added over $3 trillion in additional liability to the system in present value (as later estimated by Treasury staff). In 1977, Congress rolled back replacement rates to offset some of the prior, unintended over-adjustment for inflation, then adopted the more generous wage indexing formula going forward, and provided for a payroll tax increase in 1990 to create surpluses to build the trust funds in anticipation of the retirement of the baby boom generation. Had the economic assumptions in the actuaries’ projections been met, the 1977 Amendments with its near term surpluses would have balanced the system over the 75 year planning period used by the actuaries. (In system jargon, the 75 year “actuarial balance” of payroll tax receipts less outlays as a percent of payroll would be zero). However, this “balance” would have consisted of a string of near-term surpluses followed by perpetual deficits extending beyond the time horizon. It would balance only because of the limited time horizon. As time went on, and more years of deficit were added to the planning horizon, the 75 year balance would decay, and reveal that the system would need another tax increase. That would lead every few years to another request for a small tax rate hike, generating another short run surplus to restore the moving 75 year actuarial balance to zero, but still leave a (somewhat reduced) long-run deficit, which would grow back over time. This pattern of small rate hikes that appeared to restore balance but did not fix the long run would be repeated over and over, until the full out-year imbalance was covered by a tax hike. By directing attention away from the actual long-run shortfall, and leaving the impression that each small tax increase was solving the problem, the system’s advocates were counting on obtaining a large tax hike in stages. The recessions of the 1980 to 1982 period put OASI into deficit, and forced a call for another revision to the system. The trust fund would have run out of spending authority in the mid-1980s before the 1990 tax increase kicked in without corrective action, and the out-year deficits were ratcheted higher as well. In May 1981, the (reconstituted) Department of Health and Human Services (HHS) and the Office of Management and Budget (OMB) proposed a solution to the short-term funding gap. Their plan made many more cuts and raised more revenue than needed in the short term, including reduced benefits for survivors, students, and persons on disability. This may have been another effort to create surpluses to deal with the baby boom and make the 75 year average appear to be balanced. It may also have been an effort by OMB to deliver on a promise to balance the budget by 1984. Unfortunately, the plan still failed to address the long run demographic issue and the associated long run deficits facing Social Security. Deficits would still have re-emerged and required further tax increases of other adjustments some decades down the road. Treasury staff (this author included) objected to the plan, predicting that it would be viewed as an attempt to balance the budget on the backs of widows, orphans, and the disabled. We suggested that there be fewer near-term cuts, but that the Hsiao recommendation for price indexing be adopted to handle the long-run deficits as well to avoid the need for large tax increases in the future. HHS and OMB opposed the idea. The Senate voted down the draconian HHS plan by 98 to zero. To salvage the situation, President Reagan asked Alan Greenspan to head a bipartisan commission to come up with a new proposal. The Greenspan commission recommended delaying beneficiaries’ cost of living adjustments six months, bringing forward part of the pending tax increase to 1988, and beginning to tax a portion of benefits. Other benefit changes were suggested. The plan did not address the long run demographic issue. Treasury staff discussed the Hsaio report with Greenspan and again urged a switch to price indexing. He was initially intrigued by the idea, but the Commission staff, made up of current and former SSA personnel, argued against it. It was not made part of the Commission package or the final version passed by Congress in 1983. The 1983 Amendments created a near-term surplus, as the previous adjustment had done, and created an even larger rise in the OASI trust fund, but again left big deficits in the out-years. The trust fund surpluses, as usual, were borrowed by the government, replaced with Treasury debt (I.O.U.s), and spent on other government programs. The trust fund gives OASI the spending authority to command the Treasury to pay benefits in years of deficit, drawing down the I.O.U.s until they are exhausted in 2034. Before then, Congress must intervene with further reforms to trim benefits or raise taxes to insure timely payments of benefits. The “replacement rate” is a measure of how the social security benefit compares to a recipient’s pre-retirement income. If the benefit works out to be equal to half of the yearly income that a recipient earned in the years just before retirement, his “replacement rate” is said to be 50 percent. For many years, much attention was paid to replacement rates, as if Social Security benefits should be judged according to how they replace income lost by retiring. Social Security was presented as part of a three-legged stool (along with pensions and personal saving) to support income in retirement. This would make the benefits appear to be a natural part of retirement income for everyone, not just low income recipients in need of a social safety net. Even high income earners who could afford to accumulate personal saving, and who were often in jobs that provided significant pensions, would be entitled to social security benefits. Indeed, they would receive bigger benefits, in terms of dollars (but a somewhat lower replacement rate as a percent of their income), than lower wage earners. This “everyone gains something” idea was part of the process of building widespread support for Social Security in 1935, when a new welfare program might not have had enough support to pass the Congress. If Social Security were to be considered a natural and ubiquitous component of retirement income for all persons for all time, it was natural to consider a system in which replacement rates would be constant, relative to incomes and the income distribution, for all time. *Calculations by author, based on intermediate assumptions. Source: 2015 OASI/DI Trustees Report. At first glance, constant replacement rates may give the impression that benefits are merely going to be constant over time, so why would we want to alter the formula? In particular, why cut benefits? But constant replacement rates do not mean constant real benefits. As real wages rise over time, so do real benefits, as explained above. Replacement rates could be reduced over time for new generations of retirees while still allowing benefits to grow in real value. Furthermore, replacement rates are highly progressive. They are 40% for medium-wage earners, but are higher for lower-earning workers (74% for very low earners, 45% for low earners) and lower for higher earners (about 27% at the top). Under wage indexing, the progressivity is tied to the relative earnings of the workers, compared to the average wage at the time, not to some absolute amount of real purchasing power. In fact, low-earning workers 75 years from now (with 45% of medium 2090 earnings) are projected to earn nearly as much as medium-earning workers today. Yet the 2090 workers will receive a 54% replacement rate, like their much poorer 2015 low-wage predecessors, instead of moving to the 40% replacement rate accorded medium earners of 2015. The bottom part of Table 3 shows replacement rates under a shift to price indexing. Replacement rates would decline gradually at each relative position in the earnings distribution, but, as shown in Table 2, real benefits would rise for each new generation. People would be expected to make more use of private pensions and retirement plans to maintain income in retirement, and rely less on the OASI tax-transfer system. Social Security would become a bit more of a safety net, and less of an open-ended government provision of a fixed share of retirement income, no matter how much incomes grow in the future. Had Congress chosen price indexing in 1977 or 1983, and added the rise in the normal retirement age that was enacted in 1983, the OASI system would be living within its means today. The system’s formula would have been reigned in before the surge in retirement related to the baby boom generation, saving about $3 trillion in promised outlays (valued as of 1983 by Treasury staff). We would now be in a situation where the payroll tax could be cut, or some of it transferred to cover a portion of the Medicare program, which is projected to run heavy deficits in the years ahead, requiring large premium increases. We have paid a stiff penalty by waiting nearly 40 years to adopt price indexing. The baby boomers have begun to retire, and the OASI system is already in deficit. Nonetheless, the projected OASI deficits would be brought down to a manageable size with price indexing. 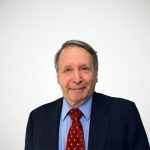 Without price indexing or some other trimming of the growth of benefits, there can be no permanent fix to the program without substantial loss of jobs and income. The social security retirement benefit formula has earnings ranges separated by “bend points” with “replacement factors.” (It resembles an upside down income tax, with brackets and marginal tax rates, but with larger rates at the bottom than at the top. The bend point are like the tax brackets, and the replacement factors are like the marginal income tax rates.) For 2015, the bend points are set at $826 and $4980. (See the figure, below.) They are adjusted upwards each year by the average percentage growth of wages in the economy. Wages earned over the years by the retiring worker are adjusted for economy-wide wage growth between the year earned and the year the worker turns age 60, to make them more comparable to recent earnings. The top 35 years of indexed wages are then averaged. The average is divided by twelve to get the worker’s “average indexed monthly earnings,” or AIME. The worker’s AIME is then increased by inflation between age 60 and 62. The indexed AIME is then used to determine a retiree’s “primary insurance amount” (PIA) by means of the benefit formula, using the bend points in effect in the year the worker reached age 62, and three “replacement factors” of 90 percent, 32 percent, and 15 percent. That is, the PIA is the sum of the amount of AIME up to the first bend point times 90 percent, plus the amount of AIME between the first and second bend point times 32 percent, plus any amount above the second bend point times 15 percent. The PIA is then adjusted for inflation up to the year of retirement, with any early retirement penalty (if the worker retires before his “normal retirement age) or delayed retirement credit (if he retires after his normal retirement age, up to age 70) factored in. Any earnings later recorded beyond age 60 are used to recalculate benefits, and subsequent checks are adjusted upwards accordingly. As illustration, see figure V.C1 from the 2015 Trustees Report (available at: http://www.socialsecurity.gov/OACT/TR/2015/V_C_prog.html#1078526). The higher (90 percent) replacement factor on the first dollars of the indexed earnings and lower factors (32 percent and 15 percent) on higher amounts of earnings make the benefits progressive, in favor of lower income workers. They give a higher benefit relative to pre-retirement income to lower-earning workers than to higher-earning workers. Thus, lower income workers receive a higher “replacement rate” than higher income workers. What happens to the benefit formula when wages rise? A rise in average wages raises the “bend points,” which increases the benefit. For example, consider a worker about to retire in 2015 who has earned $48,000 a year (on an average adjusted basis) over his career, about the average wage. That’s $4,000 a month of “average indexed monthly earnings,” or AIME. The first bend point in the formula is at $826. The second is at $4,908. His earnings fall entirely into these two replacement brackets. They exceed the first amount and spill over into the second bracket by $3,174 ($4,000 minus $826). His “primary insurance amount” (or PIA, which, with some further adjustments, is the basis for his initial benefit at retirement) would be $1,759, which is 90 percent of $826 plus 32 percent of $4,761. His benefit (before any additional adjustments) would be about 44% of his AIME. Fast-forward 30 years to 2045. Suppose all wages in all occupations rise by the same amount. Perhaps they rise about 50 percent for everyone, due in part to inflation and part to real wage gains. Then a worker about to retire in 2045 similarly situated roughly at average earnings would have earned $72,000 on average, or $6,000 a month. The bend points would also have risen 50 percent, so there would be 50 percent more AIME in each bend point range, giving him a PIA of $2,639, equal to 90 percent of $1,239 plus 32 percent of $4,761, a gain of 50 percent. Again, his benefit would be about 44 percent of his AIME. Everyone in the corresponding position in the income distribution, average earner, low earner, or high earner, would get the same percent of his or her income “replaced” as in 2015. But not all workers and occupations would see the same percentage growth of earnings over time. Let us fast-forward 40 years. Suppose the grandson of the original worker is only earning the same amount in real dollars in 2055 (that is, compared to his grandfather’s income, his income has only risen with inflation), and that inflation has been a cumulative 100 percent, so that his nominal earnings would be double his grandfather’s, or $8,000 a month. Now suppose other individuals in the economy have fared better. They have obtained additional skills or education, and job gains have occurred in other occupations with higher productivity and better pay, such that, on average, wages have risen by 50 percent after inflation. That would put them at 300 percent of the average nominal earnings 40 years earlier. Then, the bend points in 2055 will also be 300 percent of the original levels. The grandson with the lagging wages will benefit from the real income gains of the other workers in the economy. Because the bend points will have risen faster than his income, more of his wages will be “replaced” at 90 percent, and less at 32 percent, lifting his PIA to $3,758, which is equivalent in purchasing power to $1,879 in his grandfather’s time, a 7 percent real gain. Workers with higher AIMEs that exceed the second bend point, and spill into the 15 percent replacement range, would gain in a similar fashion. More of their income would be replaced at 90 percent and 32 percent, and less at 15 percent, raising their benefits relative to their earnings too. This feature of the current system reflects the concept of Social Security as a social contract in which rising wealth is shared, and goes beyond the concept of a safety net providing a base level of income. The Board Of Trustees, Federal Old-Age And Survivors Insurance And Federal Disability Insurance Trust Funds, The 2015 Annual Report Of The Board Of Trustees Of The Federal Old-Age And Survivors Insurance And Federal Disability Insurance Trust Funds, July 22, 2015, http://ssa.gov/oact/TR/2015/tr2015.pdf. See Table IV.B1.—Annual Income Rates, Cost Rates, and Balances, Calendar Years 1990-2090, 2015 OASDI Trustees Report, p. 148, http://www.socialsecurity.gov/oact/tr/2015/index.html. The retirement side of Social Security began to run cash deficits in 2010 (outlays exceeding its tax income, not counting interest on the trust funds). The Disability Insurance portion of Social Security has been paying out more than its share of payroll tax revenue for several years, and is projected to exhaust its trust fund next year. It can be calculated from the table that, in 2015, revenues are covering only 93 percent of OASI system outlays. The gap is currently being met as the Treasury redeems the IOUs in the OASI trust fund with general revenues. The trust fund is a record of past surpluses of payroll taxes and interest over outlays. The fund represents additional authority to continue to spend in the future, although the money in the fund has already been used for other government spending, and must be raised again to pay future benefits. OASI is projected to use up its trust fund authority in 2034. At that time, taxes will cover less than 80% of promised benefits. A 20 percent cut in projected benefits would be needed to avoid a tax increase. By 2090, the tax coverage will fall to 73 percent, requiring benefits to be trimmed 27 percent from currently promised levels. In practice, under current law, the benefits would just be paid later and later each month as the revenue trickled in. See Table IV.B3.—Covered Workers and Beneficiaries, Calendar Years 1945-2090, 2015 OASDI Trustees Report, p. 61, http://www.socialsecurity.gov/oact/tr/2015/index.html. See Table V.C.7.—Annual Scheduled Benefit Amounts for Retired Workers With Various Pre-Retirement Earnings Patterns Based on Intermediate Assumptions, Calendar Years 2015-90, 2015 OASDI Trustees Report, p. 148, http://www.socialsecurity.gov/oact/tr/2015/index.html. There have been a few rare decades in which prices have outstripped wage growth. If this is of concern, one could adopt annual adjustments equal to the lesser-of-wage-or-price indexing, to handle occasional years in which national average wage growth lags price growth. This would provide some additional assurance that the future system deficits would be eliminated. See Stephen J. Entin, Leave the CPI and COLAs Out of the Budget Talks, Tax Foundation Fiscal Fact No. 345, Dec. 6, 2012, https://taxfoundation.org/article/leave-cpi-and-colas-out-budget-talks. See Table VI.D3. — Sensitivity of OASDI Measures to Varying Net-Immigration Assumptions, the 2015 OASDI Trustees Report, p. 178, http://www.socialsecurity.gov/oact/tr/2015/index.html. Congressional Budget Office, Financing Social Security: Issues for the Short and Long Term, Washington, DC: Congressional Budget Office, 1977, http://www.cbo.gov/sites/default /files/cbofiles/ftpdocs/101xx/doc10137/77doc565.pdf. See the Report of the Consultant Panel on Social Security to the Congressional Research Service, Prepared for the Use of the Committee on Finance of the U.S. Senate and the Committee on Ways and Means of the U.S. House of Representatives, 94th Congress, 2nd Session, Aug. 1976, http://www.socialsecurity.gov/history/reports/hsiao/hsiaoIntro.html. The calculations were performed by Dr. Aldona Robbins, a labor economist in the Office of Economic Policy, Department of the Treasury. The present value was for the 75 year planning horizon. Trustees Reports now provides a similar statistic as well as a much larger infinite horizon estimate. There was one absence due to illness and one vacancy due to death. For a highly insightful and revealing analysis of the evolution of Social Security policy, see Martha Dearthick, Policymaking for Social Security, The Brookings Institution, Washington, DC, Aug. 1979. Social Security reconciles participants’ wage data with the Treasury payroll tax forms with a two-year lag, and has to work with age 60 data to guess at the earnings history thorough age 62, the first year one can claim benefits.